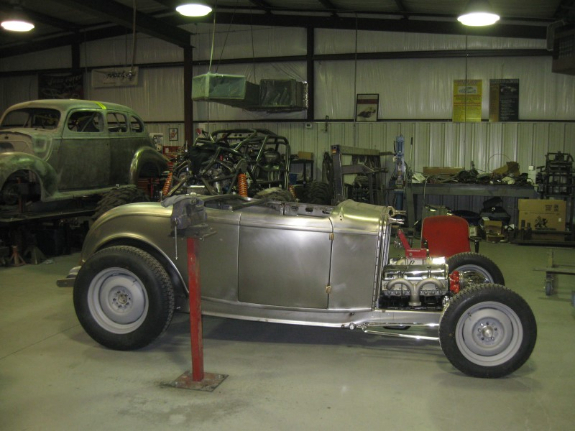 Is Ronnie and Deb Goodwin’s ’32 Roadster the “perfect hot rod”? 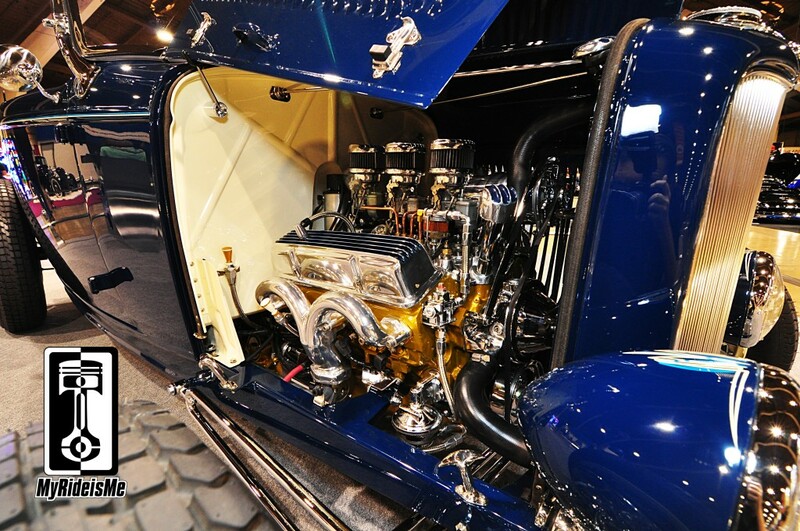 Traditional hot rods hold an aura all their own, influenced by the very earliest rodders who not only wanted to instill some of their own personality in their vehicles, but create true works of art. 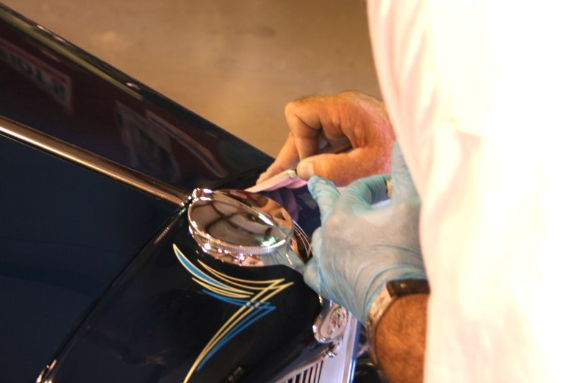 Ronnie Goodwin understands this influence and after studying hot rodding history, he knew what he had to do. 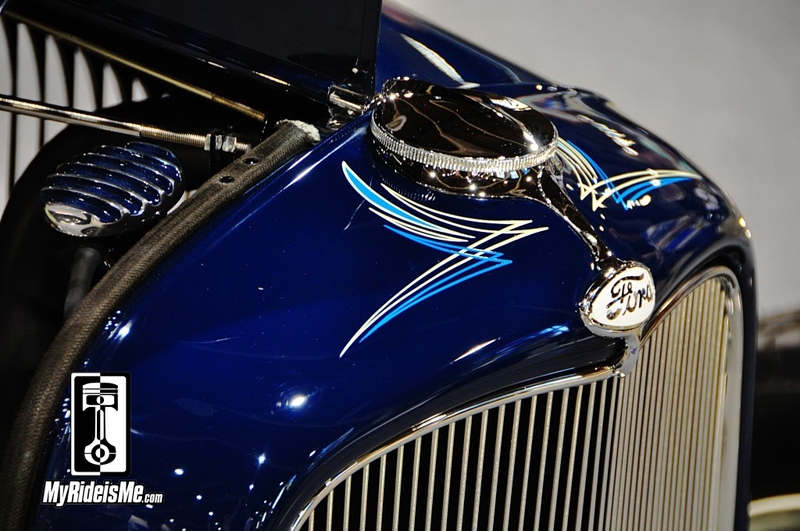 While Ronnie could understand his buddies loving Tri-five Chevrolets, Corvettes and Mustangs, he was smitten by the all time classic hot rod, the 1932 Ford roadster, a one-off classic that became the darling of hot rodders almost from its introduction. 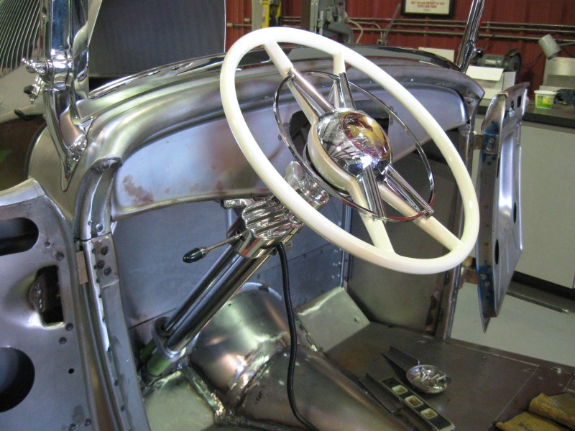 When Henry Ford relented and allowed his Model A to have some needed refinement, the future was set and hot rodding as we know it began in earnest. The Deuce was born. 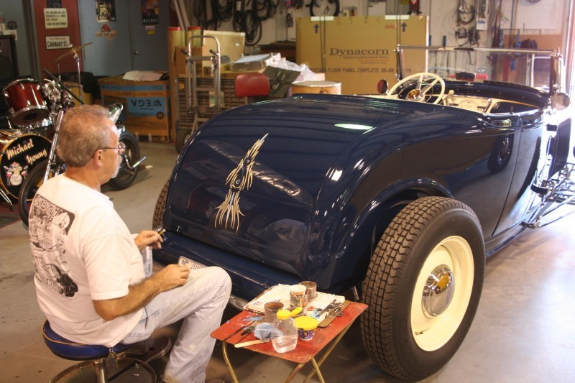 Ronnie wanted to create the quintessential hot rod, the ’32 roadster that if you woke up in 1957 and looked out the window, this is the car you would see. 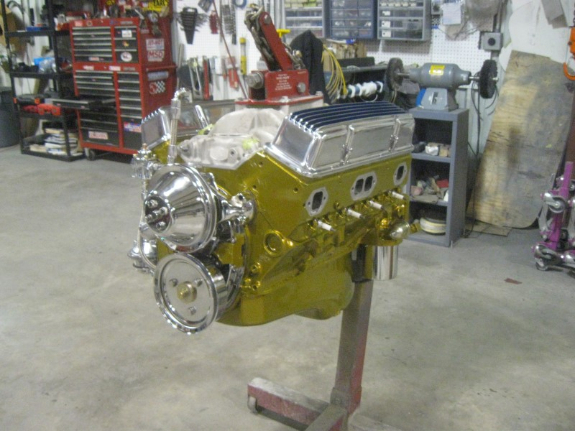 He was particularly swayed by the likes of Ray Brown and Walker Morrison, early hot rodders whose cars continue to bring true joy to a hot rodder’s heart even today. 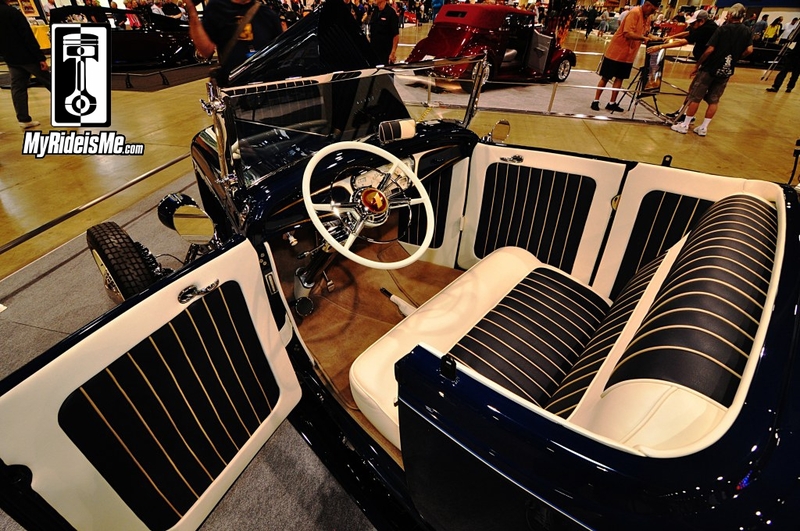 In 1952, a writer for Hop Up magazine noted, “Photography alone cannot express the true beauty of Walker Morrison’s roadster, which appears to be nothing unusual, but is, in reality, one of the cleanest examples of roadster building in Southern California.” Ronnie knew this is where he needed to go and he set out to get it built. Of course, this would be easier seen in his head than discovering who might be able to translate his vision. 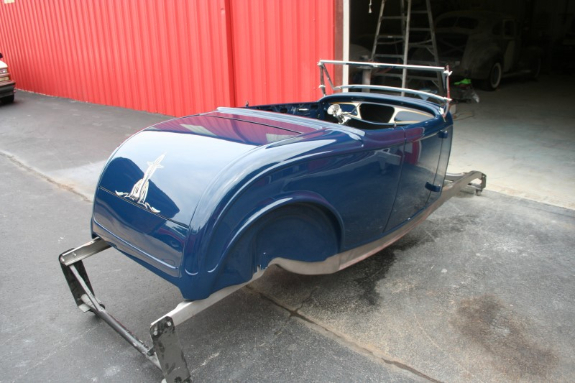 “Ronnie’s enthusiasm became my excitement,” Michael said and he went right to work ordering a Brookville Roadster body, grill shell and windshield stansions. 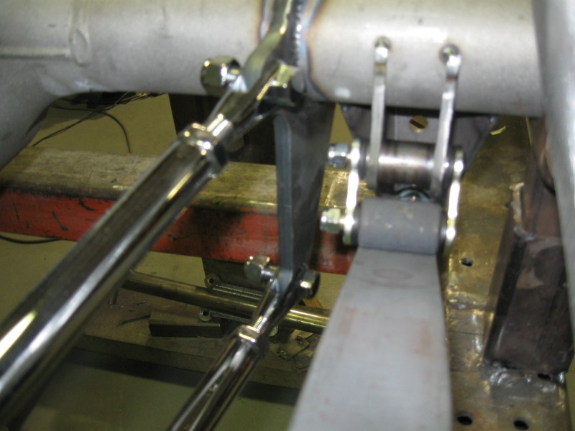 From there Michael got frame rails and suspension parts from Pete and Jake’s to weld up the frame and build the car’s foundation. Next came Wheel Vintique Smoothies (16 x 4.5 fronts, 18 x 5.5 rear) from Coker Tire who also provided their Excelsior Stahl Sport 500R16 front tires and 700R18 rear tires. This was going to get the roadster to just the right stance Ronnie was seeking. 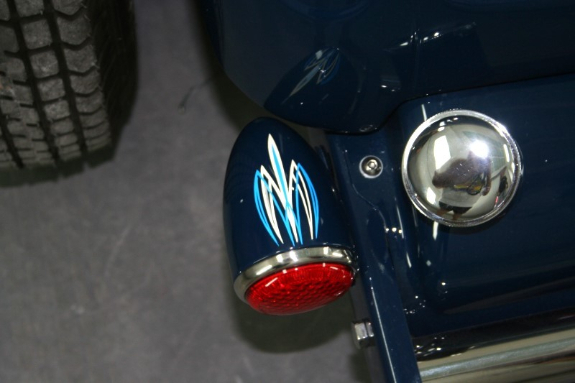 Gary Mizar handled the incredible pinstriping on the roadster. Gary formerly worked for Ed Roth and it was only appropriate he handle the delicate detail for this historic throwback. That stance proved to be one of the bigger challenges and Michael chose to go with ¼ ellipticals in the rear which allowed him to adjust them to exactly the right height. 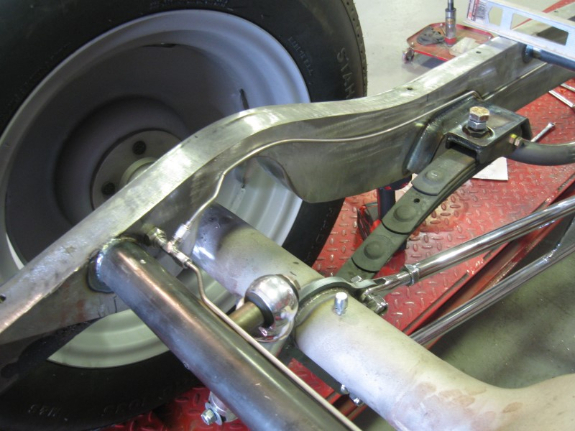 Next up was the front end which had to drop at least an additional inch so he cut the top out of the cross-member, creating a flat surface which then required a flat bottomed Walker Radiator. Additional massaging followed (modifying the C-notch, raising the trunk floor 5” for suspension travel and exhaust clearance and pinching the nose 5/8” on each side to close up the gap between the frame rail and the hood side towards the front of the grill), but eventually the roadster sat perfectly. More details and more planning began to shape the roadster into what Ronnie was set on achieving…the ultimate, classic hot rod. 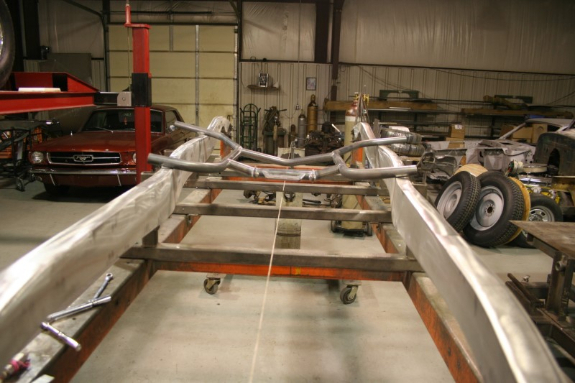 Michael said it was fortunate Ronnie and his wife Deborah were such easy customers to work with that the task, though challenging at times, made the build pretty enjoyable. “Ronnie’s most definite idea on the whole car was the interior,” Michael explained. “He wanted a dark blue with cream color and gold piping. 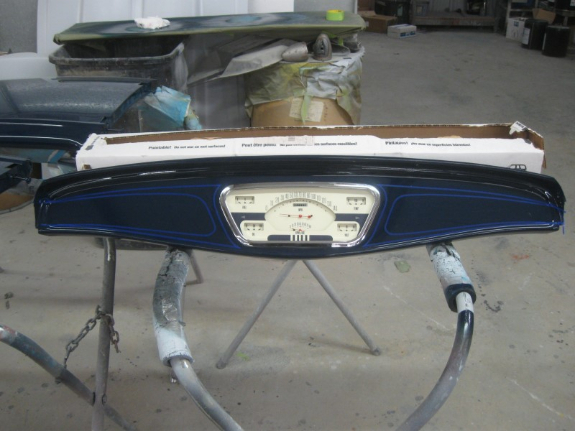 I thought he was crazy but B & B Auto Trim in Shelbyville did a great job and the final interior is just awesome.” Michael used a 53-56 Ford F-100 gauge cluster from Classic Instruments to round out the interior appointments. So was the effort to emulate some of the best early hot rods a success? 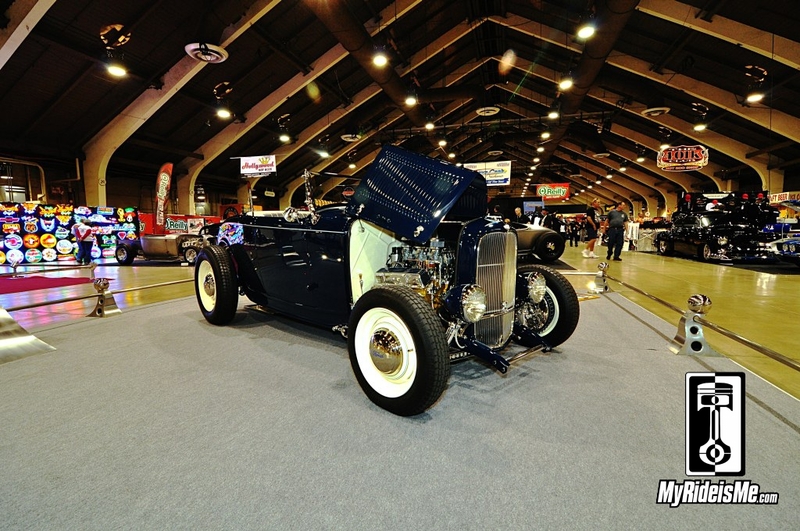 The reaction at the Grand National Roadster Show repeatedly described the car as a lesson in classic hot rod building with all the right pieces and details to make it a memorable roadster. Sometime tradition lives on fondly, like a great old pair of boots that only seem to be better with age. 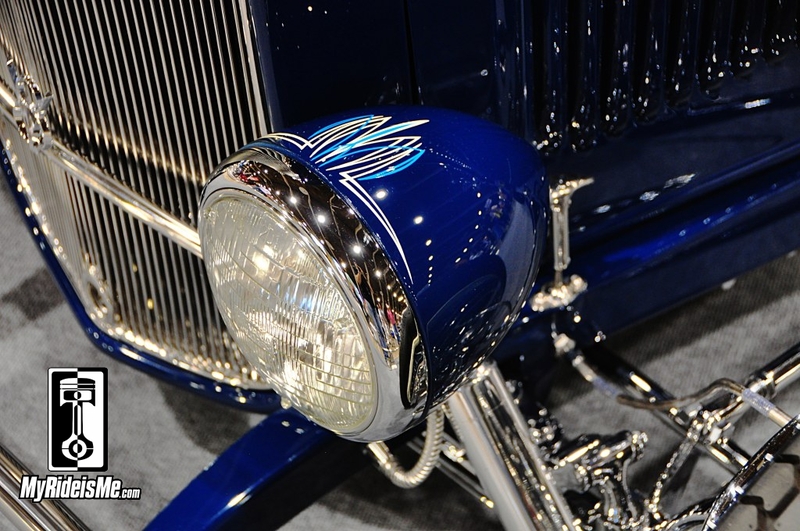 Ronnie and Deb Goodwin’s effort to capture classic hot rod tradition turned out to be a resounding success. And they didn’t have to wait around to get things “aged” just right. 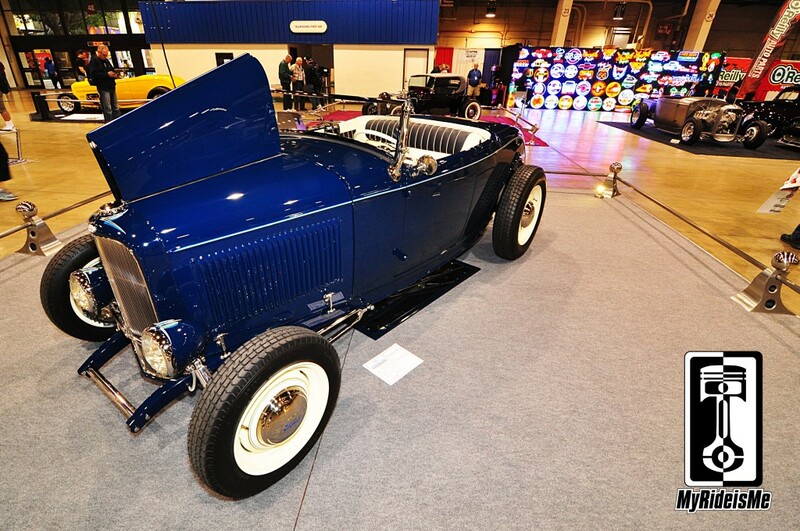 This ’32 Roadster may just live on as the ultimate definitive hot rod in its own right. 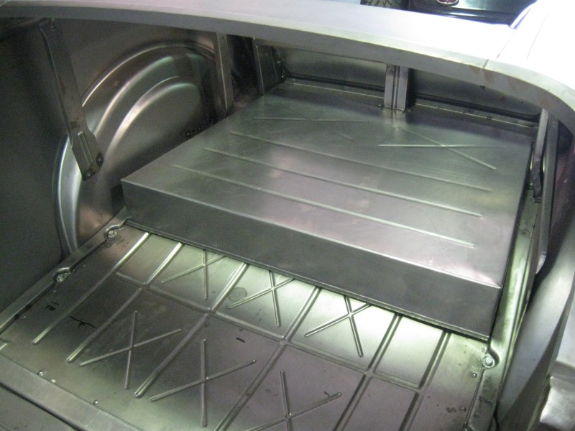 Want to see some of the build images for this roadster? Here ya go! I met Ron & Deb a few years back at the Shades of the Past. They are really nice rodders. There are lot of adjectives thrown around today to describe beautiful cars and I doubt if I can add anything. 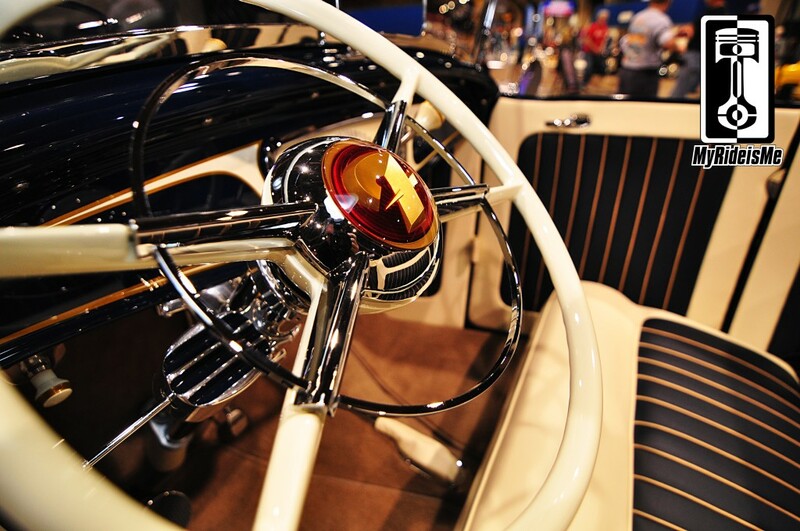 I just love the classic look of the older hot rods and Ron’s car has captured that style without a doubt. Thanks Danny. We got to talk with Ron and Deb out in Pomona and they were very helpful and more than willing to share their beautiful roadster for pics and information. We like rodders willing to talk!